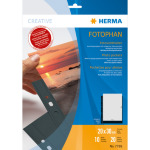 HERMA Fotophan transparent photo pockets 10x15 cm landscape black 10 pcs. HERMA Fotophan transparent photo pockets 10x15 cm landscape white 10 pcs. 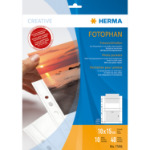 HERMA Fotophan transparent photo pockets 13x18 cm landscape white 10 pcs. 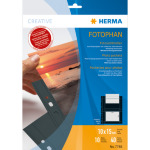 HERMA Fotophan transparent photo pockets 13x18 cm landscape black 10 pcs.